Because time is a cruel master, so they say. My once-broad shoulders have somehow migrated down to my midsection. There are wrinkles forming around my eyes when I smile. And we forget. There was a time, before I veered into a career as a journalist and writer, when I was an extremely gifted artist and illustrator. But like so many other things, time made me forget how to even draw a stick figure. The fading memories of things we once were, the people we used to be, is hard to accept sometimes. This is especially true in our romantic relationships. We get involved with our careers. We have setbacks. We get involved with other things. We throw a few kids in the mix. Maybe time takes a toll. Maybe your partner stops doing those things that they used to do that made them valuable to us, and maybe we used that as an excuse to do the same. Maybe we don’t look the same or act the same or share the same things we used to. Maybe we forget who each other once were as time bares it away. That’s why this Valentine’s Day, I am making it a point to remember to remember. Valentine’s Day is as good a time as any other for it. For the better part of a decade, it was too easy a day to forget for both of us. 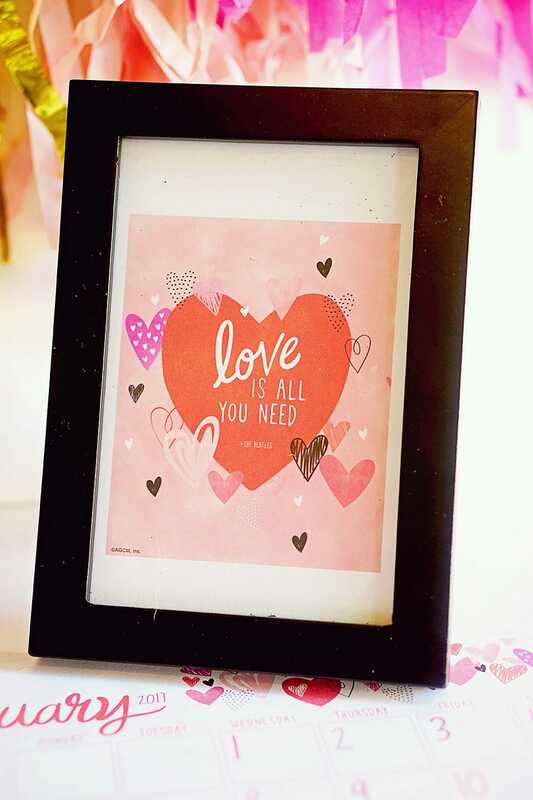 Valentine’s Day always fell on the same week as our wedding anniversary (February 19th is our anniversary), so, like a Christmas birthday, it was just lumped together. Further complicating things was the fact that the first day of players reporting for spring training usually fell somewhere in between and as a writer covering local baseball teams, it was always one of the busiest days of the year. This year, Valentine’s Day is about digging up the the memories that made us special because, if you don’t, time will take it all away. With a little creativity and help from American Greetings, I was able to create a sweet surprise early this year. 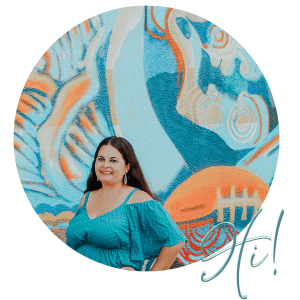 To start it off, I’m going to reach down deep inside and see if I can find the artist in me again to create something to show that I remember and that time hasn’t taken it all away: A memory box. A balsam wood craft box or tray. 1 can of “chalk board” spray enamel. Paints, craft supplies, American Greetings stickers or other materials to decorate the box. 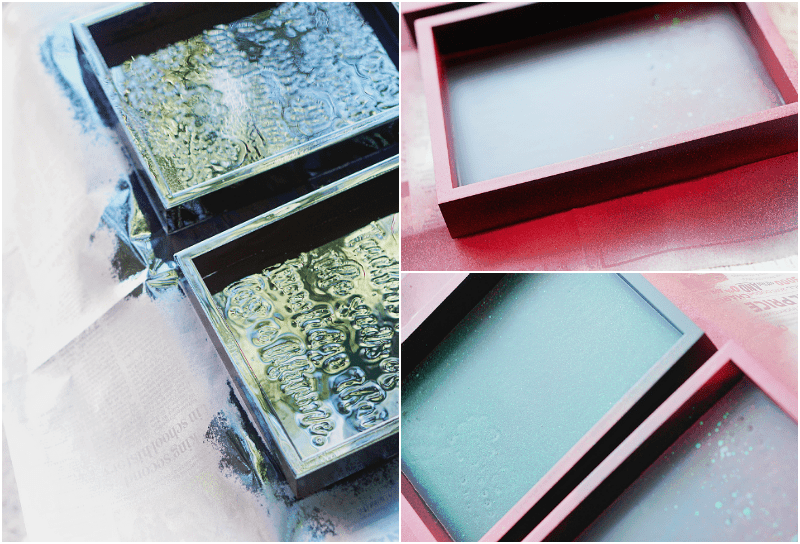 In a well ventilated area, lay down old newspaper or other protective covering. Paint the box evenly with the enamel. You may need to add a second —or third— coat depending on the paint’s coverage and consistency and the material of the box or tray. Allow to dry completely for two to three hours. 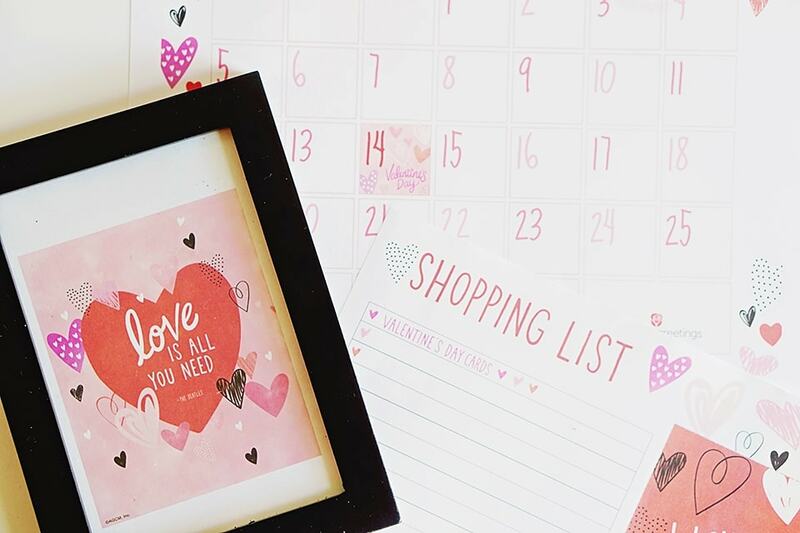 Printable Shopping list with tear-off “loves notes” perfect for leaving around the house, in lunch boxes, etc. Each day between Valentine’s and our anniversary, I’ll fill this little box with mementos and words to help each other remember. You can do this along with your significant other too as a way to make your Valentine’s Day last all week. American Greetings can help with the other stuff too. They have a whole line of gift bags and wrapping papers for all your gift-giving needs. 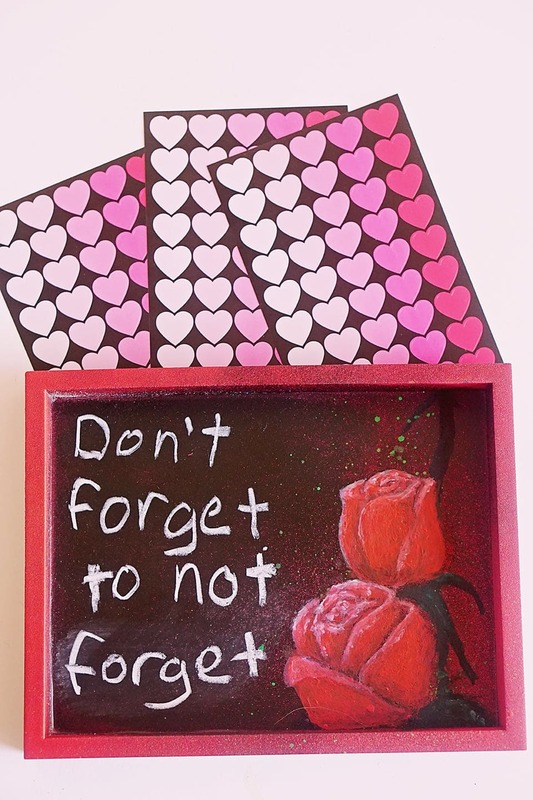 After the paint has cured decorate the box with things that remind you of the other person. This is where I’ll be trying to resurrect my former illustrator tendencies, but how you do it is completely up to you. Just make sure to leave plenty of blank space in the bottom of the box because this is where you’ll be writing your daily messages in chalk. If you have kids, they can help with this part. Try things like painted handprints or something simple like glitter and glue. For my project, I painted a pair of roses. I’m definitely not as skilled as I used to be with a paintbrush but I was surprised at that I still had some of that talent buried inside. 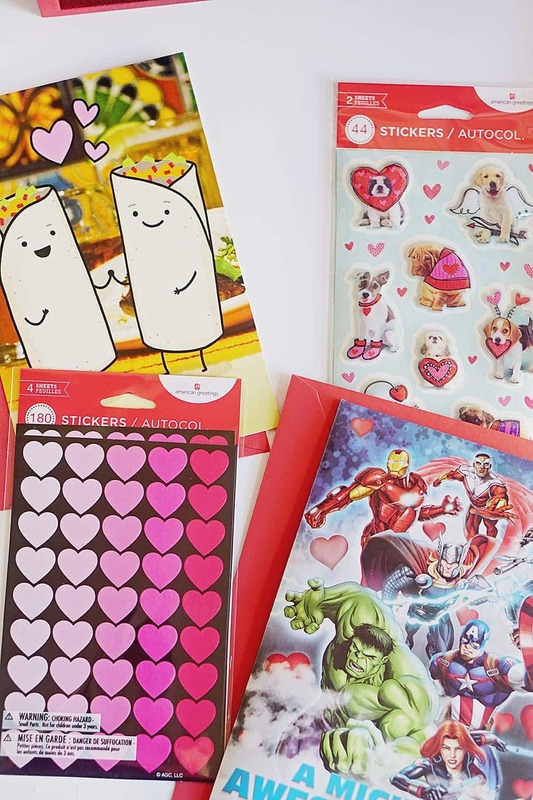 If being crafty really isn’t your thing, American Greetings offers a wide variety of Valentine’s Day themed stickers that you could use. Click here to find a retailer nearest you. 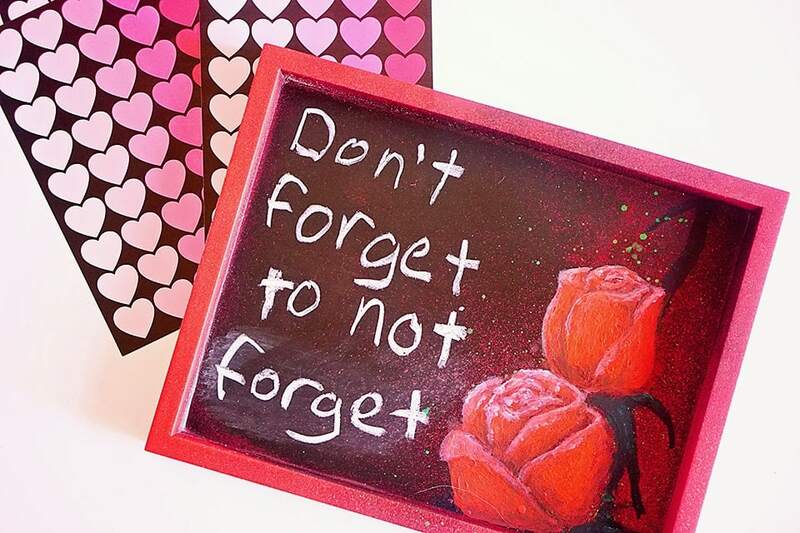 In the space you left at the bottom of the box or tray, use chalk to write a few words or phrases that signify something that made you fall in love in the first place or a shared memory you have together. It can be an inside joke or the name of a place or a song lyric. Each day through the rest of the week, erase the words at the bottom of the box and do it again. Get creative. The idea is that each day, you unbury a memory so that it becomes harder for time to take it away. 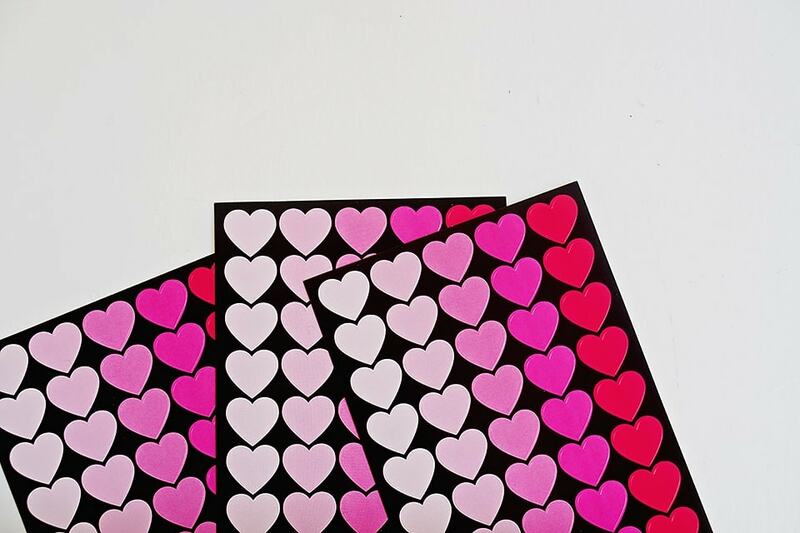 A handwritten note in a card is also an easy way to spread the love. How do you celebrate the holiday with your spouse? 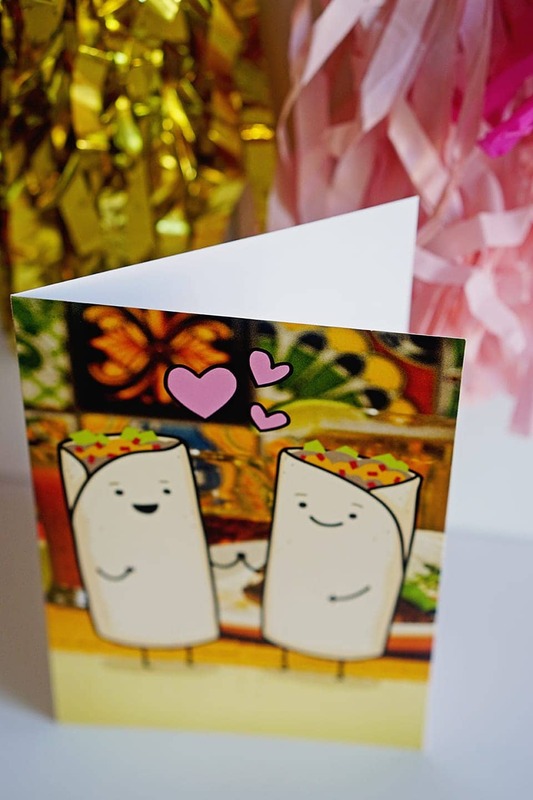 Which American Greetings cards will you buy this year? 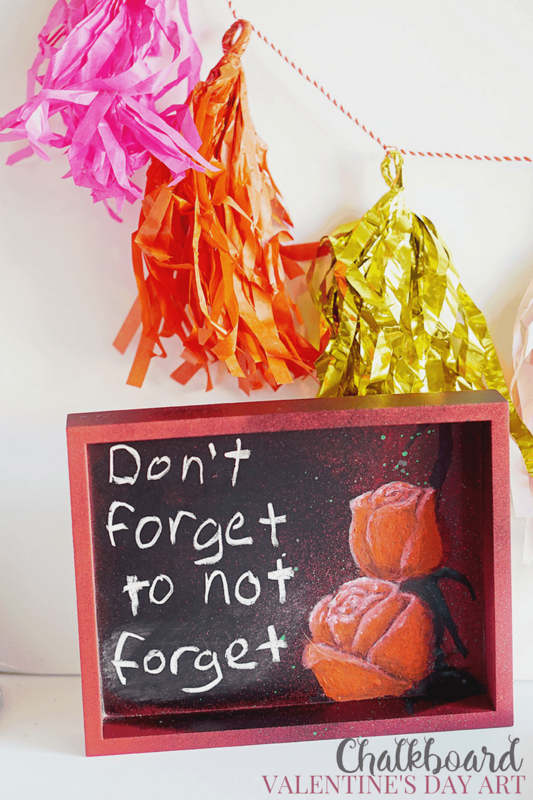 Celebrate Valentine's Day with a sweet DIY chalkboard memory box. This adorable craft is easy to make and fun to share with a loved one. You have it planned so well, it will be amazing, and I love your handiwork, you haven’t lost that talent at all! Wow! Love your memory box. The roses are beautiful. You are very talented.